I’ve been playing a lot of animal crossing. I mean, more than is healthy to play. Something about being in debt to a raccoon just seems so much more fun than being in debt to a university. During one particular long play session reality and the game began to blend into one; no longer could I tell if it was my soulless eyed character or I who was selling butterflies to a poodle and writing berating letters to a cat for constantly asking me to do trivial chores. 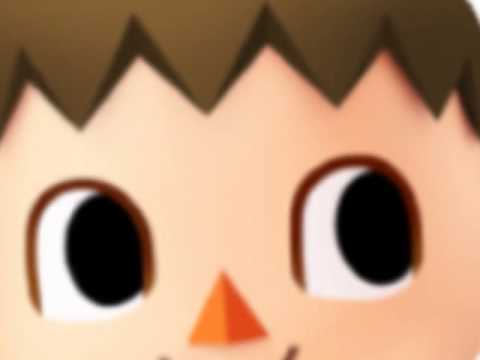 It was then that I took an unbridled look at the world of Animal crossing; I saw it for what it was, and how it compared to the dull world that I actually inhabited. Upon waking from my haze a day had passed and I found myself in a dog kennel requesting a haircut and a song. I quickly raced home to transcribe what I had learned from the experience, and so this is what I bring to you today: Life lessons from Animal Crossing. The first thing you learn upon entering the animal crossing world is that nothing comes for free. Before you have time to ask the questions “Where am I?”, “Why did I come to this place with absolutely no money and motive?” and ‘WHERE IS MY SOUL! ?” you’re immediately thrust into a contract with one Tom Nook. You better get used to this Raccoon, because he owns you. Everything you do in your town goes through the Nook family (So much for being Mayor). 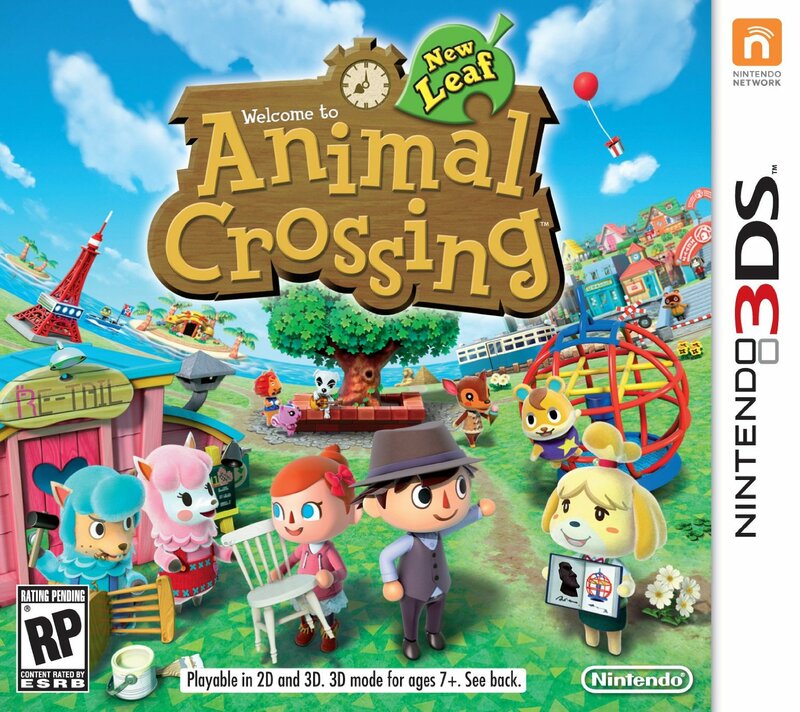 If the above box art wanted to be anymore accurate to the game, there would be a large translucent Tom Nook in the sky laughing manically while looking down upon the town that crumbles at his whim. Tom Nook has what you need: somewhere to live and the tools required to live. He starts small of course, giving you a measly single room home with room for little more than a bed and a light, but he plays on your own greed, roping you into contracts for bigger and grander houses until you’re his slave. It’s then that your play time is consumed by fishing and bug catching just to pay back your immense debt to the Nook family. This sound silly, but that is animal crossing in a nutshell: a cutesy debt simulator fueled by the labor of fishing. If you had to learn one lesson from Animal Crossing it’s that life is about owing others. But hey, that’s not a bad lessons to learn, especially if you’re young. Animal Crossing in some ways teaches fiscal responsibility to children. While Bells are certainly easier to come by than dollars, at least Animal Crossing is teaching kids that they’ll have to work for their money. Is it instilling a strong work ethic? No, probably not, but at least it’s an ethic. It’s only if we start seeing the next generation of kids become really into pawning anything and everything that we should be concerned. Of course Animal Crossing also plays on the heart of capitalism, acquiring more wealth and possessions, but it’s all so adorable and silly that you forget that you’re essentially doing what you’re doing in the real world (Most likely minus the fishing). Multiple stores, new items everyday, and a year wide system of changing aspects makes your town an ever changing world, so it’s inevitable that you’re house’s design will go through multiple make overs. Making your house bigger and better is the essential goal of Animal Crossing, and with the addition of wi-fi play you’re no longer doing it for yourself. You can visit and compete with players around the world to see who has the most elaborate and coolest towns. The most recent title, New Leaf, even lets you live out the fantasy of being a looter in someone’s town. That said, it’s fun. Unlike in the real world, Animal Crossing has a lot more immediate gratification than the real world- You like that cactus with a happy face but don’t have the Bells to buy it? Go fish for 20 minutes. It takes all the mundane parts of accumulation speeds them up and makes them less boring. You can also be somewhat charitable in the world of animal crossing by donating items to your local museum, but the Owl who runs it is an ingrate who sleeps all day. Although you have ulterior motives in your town, the game very much rewards kindness. Whether your helping out your neighbor by finding him a peach or making your town’s satisfaction higher by composing a new town melody, a big theme in the game is to make others happy. It shows, as the world of Animal crossing is a harmonious world where all types of animals live together under one town. The alligator resident isn’t ripping into the cat resident and there are no major fights over property: it’s a nice world. These acts of kindness make for a good lesson: be nice and play nice, and maybe you’ll be rewarded. Sure, you can also be a terrible villager and axe all of the trees and let your town go to ruin, but that would make for a pretty dull gameplay experience. However, we don’t know much about what goes on beyond the walls of your town. Perhaps constant war? Famine and disease? Maybe your town is a controlled society in a larger world devastated by war? For more conspiracies about the Animal Crossing world, please read my book “Animal Crossing: The Lies of Tom Nook”. The land provides, and what the land provides will make bank. Animals are sometimes really petty. Not Saving is like committing an unspeakable crime. New fossils appear in the ground every day. Animals are living breathing things that should be treated as such. Not bugs or fish though; capture them and put them in cages. Fishing is the most valuable skill ever. So there you have it, some life lessons from the world of Animal Crossing. Take them as you like, whether its to your normal life or to your life in your Animal Crossing town. Perhaps one day, when games and virtual reality become one, we’ll be able to owe Tom Nook huge amounts of money for real. Wouldn’t that be paradise…. This entry was posted in gaming, Uncategorized, video games and tagged animal crossing, Gaming, new leaf, Nintendo, social, Video Games. Bookmark the permalink.